On the Sacramento River at Sherman Island in the Sacramento Delta, this huge ship travels through the deep water channel. Ships frequently travel down the river from the Port of Sacramento on their way to the San Francisco Bay area. 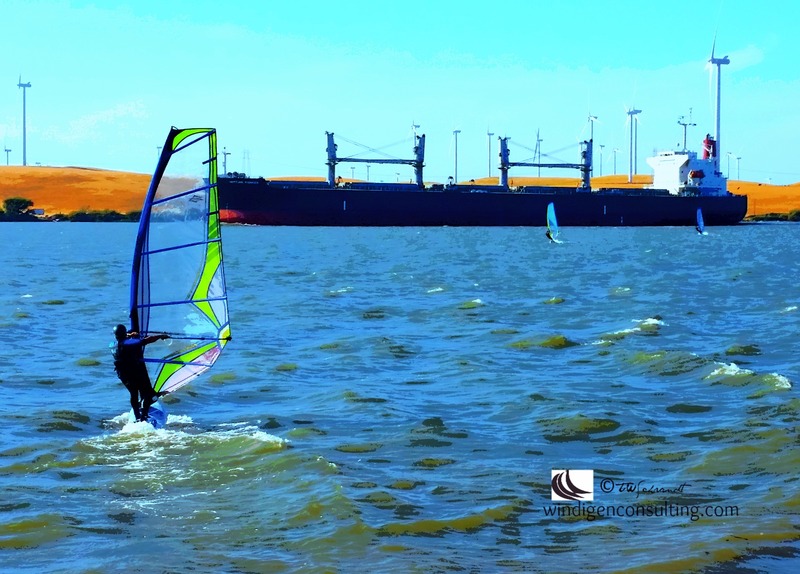 In this case, the huge ship was IN the way of several windsurfers. I miss this area, so much! Super shot! It’s interesting the perspective of size compared to the ship! Love the see through sail. Great in the way on the way shot.